Waterloo – Leading African migration and food security scholar Jonathan Crush has been named Wilfrid Laurier University’s University Research Professor for 2018/19. The award recognizes continuous and outstanding achievement in research by a full-time faculty member. Crush studies international migration and development, and rapid urbanization and food security in the Global South. He is a professor in Laurier’s School of International Policy and Governance and is a Centre for International Governance Innovation (CIGI) Chair in Global Migration and Development at the Balsillie School of International Affairs (BSIA). He is also a senior research associate with the International Migration Research Centre. Throughout his career, Crush has secured $26 million in research funding; has published over 15 books, including the highly influential Power of Development; and edited journal issues, written over 150 book chapters and journal articles, and boasts over 9,500 Google Scholar citations. He has held research chair positions at Queen’s University and the BSIA. He was awarded the Joel Gregory Prize of the Canadian Association of African Studies for his first book on Swaziland and holds an Honorary Professorship at the University of Cape Town. “Dr. Crush is, without question, one of the leading scholars in the world on questions of migration, especially in relation to Southern Africa,” wrote Gillian Hart, professor of Geography at the University of California Berkeley in her nomination letter. “Indeed, he has played a central role in carving out the field of South-South migration." Crush’s current research projects include the Hungry Cities Partnership, the African Food Security Urban Network (AFSUN), the Consuming Urban Poverty project, the Southern African Migration Programme (SAMP) and the Growing Informal Cities Project. Crush is also devoted to mentoring and training students to become the next generation of migration and food security scholars. Most recently, Crush secured funding through the Queen Elizabeth Scholars program to provide opportunities to 30 doctoral, post-doctoral and early career scholars to gain international research and practical experience. “Much of the credit for this award goes to the many graduate students, post-doctoral fellows and colleagues in Canada, Africa and around the world with whom I have had the privilege of collaborating in meaningful and productive research partnerships over the years,” said Crush. 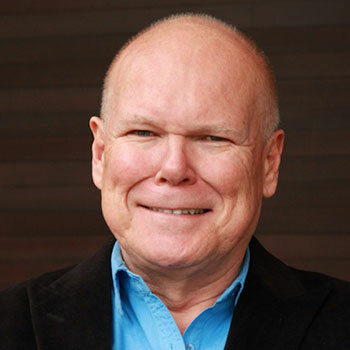 Gordon will present Crush’s University Research Professor award at Laurier’s Waterloo campus spring convocation on June 12 at 9:30 a.m. The position of university research professor is awarded every year through a competitive process to a Laurier professor who has achieved a continuous record of scholarly excellence over an extended period of time as exemplified by receiving external grants, publishing in peer-reviewed scholarly journals, having books or monographs published by scholarly presses, presenting invited lectures at scholarly conferences, and/or receiving scholarly honours. The program is administered by the Office of Research Services.